Over 94 feet of hair was donated to the Locks of Love Foundation on Saturday, Feb. 26, when USU-CEU cosmetology students spent the day cutting the hair of 55 clients from 9 a.m. until 3:30 p.m. This was year nine for the cosmetology students participating in this event. It has been open to the public for the last two years. Last year, 77 feet of hair from a total of 53 clients was donated. Those participating in the event were required to donate at least eight inches. The highest amount of inches donated from one person this year was about 14 inches, said cosmetology instructor Debbie Prichard. All cosmetology students worked at the event cutting hair in addition to doing manicures and make-up. Marie Bryner Bowles of Bryner Photography took before and after photos of the participants. Lunch was served for those who donated hair. Prichard commented, “I was very happy with the turn out. Our students did an incredible job. I was proud of the students and their work. It was a great day of community service.” She said that some people did not have eight inches of hair to cut so they signed contracts that when their hair is long enough to cut for Locks of Love, they will have it cut by the cosmetology students and donated to the national organization. The hair from Saturday’s event will be mailed to Locks of Love Foundation in West Palm Beach, Fla., where it will be used to make wigs for people who have lost their hair through health conditions. 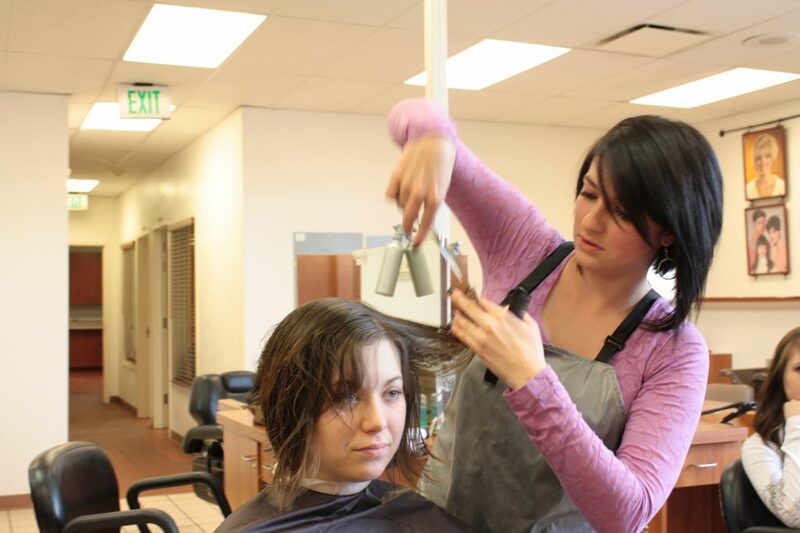 Melanie Huff of Price organized the Locks of Love day through the USU-CEU cosmetology program.